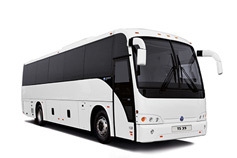 CH Bus Sales is focused on providing superb after-sales support to all of our customers. Click any video title to view some helpful educational videos we have created! If you have any issues viewing these videos, please contact Michaela Grundman at 507-331-7911 or email her at MGrundman@CHBusSales.Com DVD copies of some of these videos may also be available, please contact Michaela for more information or to put in a request. A detailed overview of the Temsa TS 45 motorcoach. Interior overview includes dashboard controls, seat controls, and safety tips. Exterior overview includes a walk around the entire coach viewing all outer compartments and their use. A step-by-step video for replacing a windshield in your Temsa coach, any model. 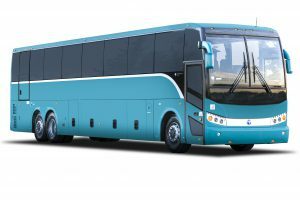 A detailed overview of the Temsa TS 30 motorcoach. Interior overview includes dashboard controls, seat controls, and safety tips. Exterior overview includes a walk around the entire coach viewing all outer compartments and their use. Ensure your passengers understand the correct safety procedures when riding a TEMSA motorcoach. This video provides explanation on utilizing the emergency exits, locating the fire extinguisher, and general safety policies when loading and unloading the coach. Safe travels! A detailed overview of the Temsa TS 35 motorcoach. Interior overview includes dashboard controls, seat controls, and safety tips. Exterior overview includes a walk around the entire coach viewing all outer compartments and their use.